The Gavit Varsity Football Team will be on the road this evening as they take on the Cardinals of East Chicago Central High School. The opening kick off is scheduled for 7:00 p.m. Good Luck to the Gladiators!!!!!!! Multiple Teams · Sep 8 Gavit Varsity Football @ Highland: Friday, September 8, 2017 @ 7:00 p.m. The Gavit Varsity Football Team will be on the road this evening travelling to Highland to take on the Trojans. Kickoff is scheduled for 7:00 p.m. Good Luck to Coach Robinson and the Gavit Varsity Football Team. Multiple Teams · Aug 15 Varsity Football vs Calumet @ Gavit – Friday, August 18, 2017 @ 7:00 p.m. 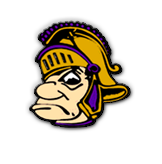 The Gavit Gladiator Varsity Football Team will be hosting their first game of the season as they take on the Warriors of Calumet High School. Game time is at 7:00 p.m. at Gladiator Stadium.